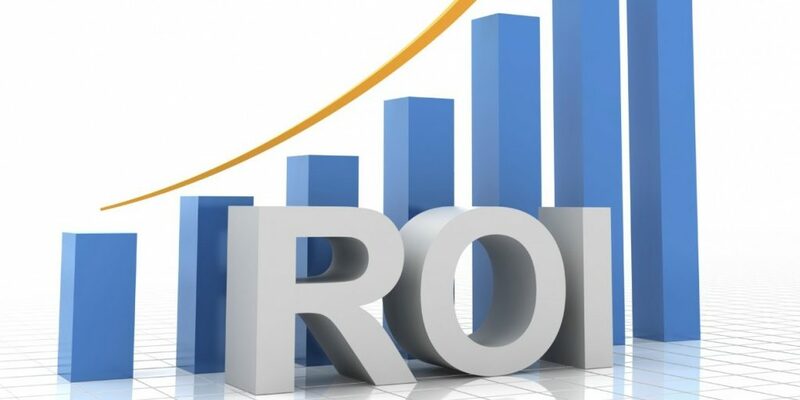 The acronym ‘ROI’ stands for Return on Investment. As a landlord or property owner, having a strong ROI on your property investment is highly essential. Attaining a strong ROI on your commercial property can be a major key to wealth that can make you and your generations unborn rich individuals.When investment decisions are to be made, a strong ROI goes a long way as it is the main driver of a commercial property investors’ investment decision. Therefore, it is imperative that a commercial property owner is able to identify and attain a strong ROI on his/her commercial property. What exactly does ROI mean in real estate? (ROI) is an accounting term and tool used to determine the percentage of invested money returned to an investor after the deduction of the associated costs. For the non-accountant, this may sound a tad bit confusing, but it arithmetically means; the profit from the investment minus the cost of the investment divided by the cost of investment. Securing a strong ROI on your property takes a smart and proactive real estate investor who has the gift of foresight. You need to be someone who can identify opportunities miles away, carry out due diligence even when all seems well and a strong risk-taker. With the ongoing economic situation in Nigeria, real estate investors are mostly concerned about their capital security. In terms of capital gains and income, property investing has paid off handsomely for many people but it is essential that you go into it with your eyes wide open, acknowledging the potential advantages and disadvantages. If you know someone who has invested in a buy-to-rent or is into commercial properties, ask them about their experiences , the good, the bad and the ugly and learn from them. A ‘big time’ tenant or several tenants with long-term leases residing on your property with terms and agreements that are favorable to all especially you, and a possibility of a fixed yearly rental increase, can be the ultimate deal to boost your ROI. The kind of tenants you let out your property to is equally important. It is advisable you adopt a method or procedure that ensures you rent out your property to reputable tenants by carrying out due diligence on prospective tenants so as to ensure they are capable of paying their rent on time and they are are not potential problem tenants. If you can’t effectively carry out such task, you can employ the services of a property manager. It is all about doing your homework and understanding the market you are buying into. It is common knowledge that commercial properties in major urban cities tend to come at a higher price. However, that doesn’t mean that strong returns cannot be achieved in remote places like Ikare, Akure, Nekede, Obinze but it would be a lot difficult for these places to compete effectively with places like Abuja, Lagos, Port Harcourt, Enugu and Calabar just to mention a few. Without mincing words, having a property in these places are more likely to achieve a stronger Return On Investment (ROI). Choose a promising location. Promising does not mean most expensive or cheapest. Promising means a place where people would like to live and this can be for a number of reasons. In most cases, people tend to invest in a property close to where they live as they are more likely to know this market better than anywhere else and they can easily spot the kind of property and location that will do well. They also have a much better chance of keeping tabs on the property. However, location is not the only yardstick to achieve a high return on investment. It goes hand in hand with the ability to identify and utilize the opportunities available, doing your due diligence and taking risks. Different types of commercial properties fall in and out of favor with the real estate market. It is up to you to have enough courage to keep going so you can create significant returns on your investment. An extended vacancy on your property is sure to cause no income or revenue and in turn, reduce or even negate your ROI. You have a better chance of avoiding vacancy on your property if your comparative market analysis is top notch. You can also put up ‘to-let’ ads immediately you are aware that an existing tenant of yours would be vacating your property soon. The better a property is maintained, the more tenants it will draw, and the lower your chances of vacancy or low turnover. Respond quickly to maintenance needs, and do what you can to anticipate maintenance problems before they arise. If it entails you remodeling or redesigning the house, do so. You need accurate financial statements if you want to be aware of how profitable your investments are and to tell you when you are lagging behind. Accurate records keeping can help you get a better loan hence, giving you more cash flow and it can also show that you are a good risk if you are looking to purchase more properties.